The Green Beret (7536) debuted in 1966 and is one of the most perennially popular figure sets, perhaps because of the song "The Ballad of the Green Berets" or the classic John Wayne film. Whatever the reason, it has an aura the evokes the spirit of GI Joe in his military incarnation. The set was sold as a window box, not unlike the deluxe versions of the Action Soldiers of the World sets. In England, Palitoy released its version of the set along with the other SOTW sets under the moniker "Soldiers of the Century." One cool addition to the British version was a Silver Star medal. In the US the uniform was also available as a Special Forces window box. The window box accessories, above. A set close to these was released on a card, left. The uniform was also available in the Special Forces window box. 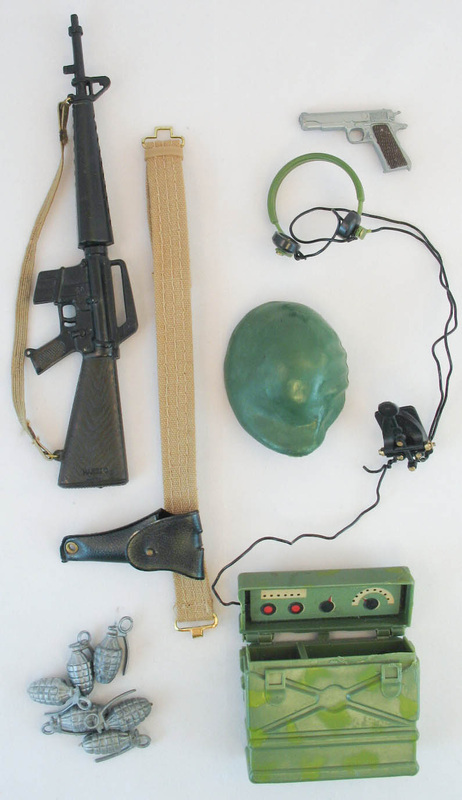 Image of the Green Beret accessory card (7533) left copyright and courtesy of Vectis Auctions Ltd. 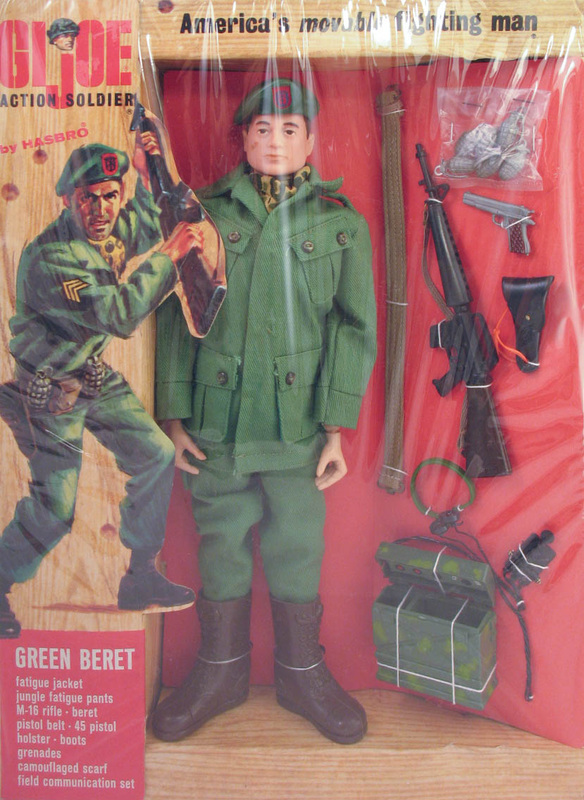 Some early release versions of the Green Beret window box figure set were dressed in standard soldier fatigues and lacked the camouflage scarf. The side panel of the box was whited out to reflect this change in contents. Sealed versions usually have a coupon for Jewel Home Shopping Service on them, so this may have been available exclusively through their catalog. The example shown here comes courtesy of Joezeta. Visit his GI Joe auctions here!